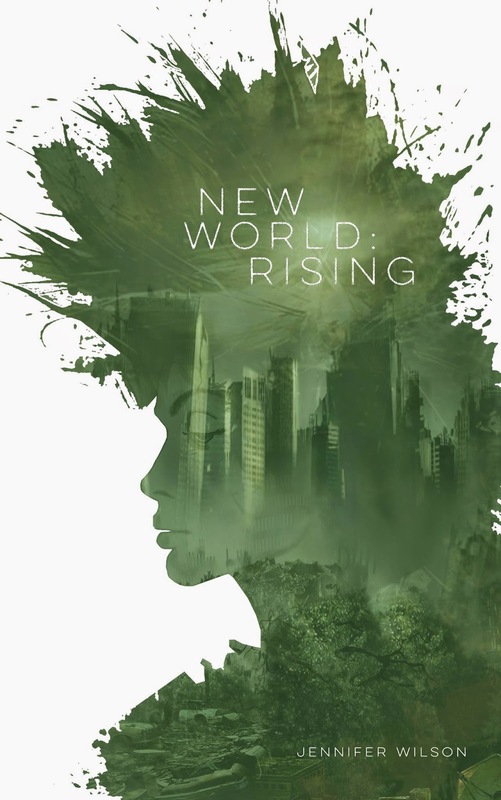 New World Rising is officially here, we have entered Tartarus and it is a dark dark place....but there's hope, and like a Phoenix (or in this case our Phoenix) rising from the ashes, all is not yet lost. 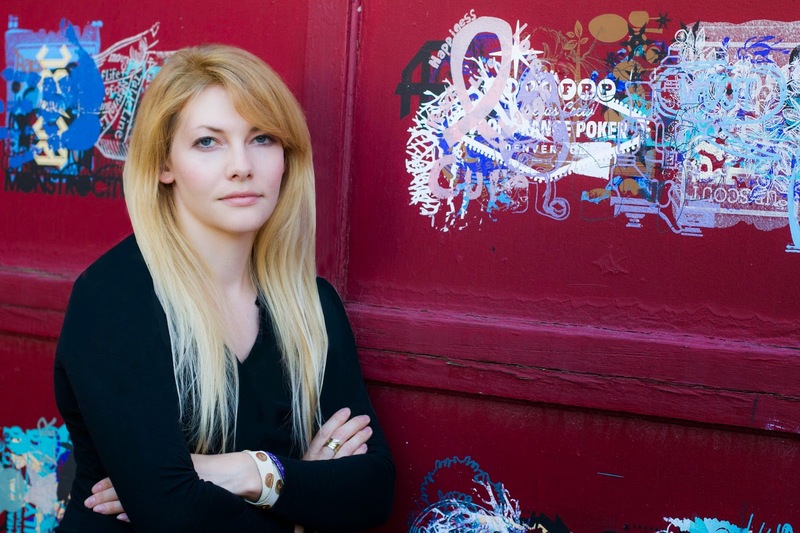 And whats better is we have the author of this amazingness Jennifer Wilson, here to talk about all manner of bookish things! Author Bio: As a child Jennifer loved getting lost in the stories of others, but struggled greatly with reading. A notoriously slow reader who stumbled with words and spelling, Jennifer shied away from books, leaning heavily on musical theater and movies to get her inspirational fix. Jennifer had wanted to write her own novel since her early twenties, but unfortunately inspiration doesn’t always strike on command. Her first book, The Chosen, was completed in 2013. But as most first attempts go, it was a flop. 1. What does your writing process look like? I am a chaotic writer. As much as I would love to plan my books out in an organized manner, my brain tends to flicker on at inconvenient moments— in the car, in the shower, at the grocery store or while lying in bed at 2am. I always have the main storyline running in the back of my mind, but I tend to let my imagination run free, taking my characters on twist and turns even I didn’t see coming. I write in the shower all of the time! A dear friend bought me a waterproof notepad and I use italmost every day. Mid shampoo an idea will cross my mind and I jump, “Oh! I have got to write that down!” I also have a bad habit of writing on anything when inspiration strikes— napkins, paper bags, the backs of receipts— really anything will do. 3. What book do you wish you could have written? I am sure this is cliché, but Harry Potter. Not because of the fame or money, but this was the first series I fell in love with and because of how many lives she touched with her books. To reach that many people and inspire them to dream and read… that is a true gift. Obviously, J.K. Rowling is at the top of that list, but there are many other authors I look up to: J.R.R. Tolkien, Rick Yancey, Dan Brown, Suzanne Collins, Cassandra Clare and Diana Gabaldon, to name a few. 5. If you could cast your characters in the Hollywood adaptation of your book, who would play your characters? Now that’s a tough one. Alex Pettyfer would make a great Triven, just think a little more blonde. Young Johnny Sequoyah would make an ideal Mouse, with her innocent face and deep eyes,she would fit the shoes just right. Give Henry Cavill a set of dark contacts and you have your Maddox. Arstid is a no-brainer, Cate Blanchett of course. Then there’s my wild card. While there are many talented young actresses out there, I would want to see Phoenix played by a new face, someone who could rock the screen and do a fierce girl like her justice. Suggestions anyone? 6. How important are names to you in your books? Do you choose the names based on liking the way it sounds or the meaning? Names are very important to me. Your readers have to read them over and over again so I want to pick ones that stick. Oddly enough, in my book, my main characters’ names aren’t revealed until after you get to know their personalities, so it was even more important that they fit. I generally spend a lot of time on meanings, but sometimes it is also just about what feels right. 7. What do you consider to be your best accomplishment? Living in Colorado with my husband and writing everyday while snuggling our dog. 9. Were you already a great writer? Have you always liked to write? Of course not! Every writer has room to grow and gets better the more they write. I always had the spark for creativity but my grammar and spelling was appalling for years. Only with practice and determination did I grow. Write because you love it. Not to make money or to be famous, write because you’re passionate. Because if you’re passionate it won’t matter what anyone else says, you are doing something you love and that’s more important than a stranger’s opinion. 11. Do you read your reviews? Do you respond to them, good or bad? Do you have any advice on how to deal with the bad? Yes, but I take each one with a grain of salt. The beautiful part of being human is that we are all entitled to our own opinions. So I must respect that not everyone will like my work. If you get a bad review, see if anything can be learned from it and move on. You can’t please everyone. 12. What is your best marketing tip? Friends and bloggers, they are your best chance atsuccess. 13. What is your least favorite part of the publishing / writing process? Rejection letters are never fun, but for me each one was a driving force to try harder. This is my first published book, but the second novel I have written. I have another collecting digital dust, but I will get that series out soon too. One thing at a time. 15. What are you working on now? What is your next project? I am currently writing like mad on the next book in the NEW WORLD series, NEW WORLD: ASHES. Trust me, you won’t want to miss it. I love that Ms. Wilson attests to previous failure as her motivation to try harder and succeed. What a lost trait this seems to be in a lot of people today! Get daily ideas and guides for generating THOUSANDS OF DOLLARS per day ONLINE totally FREE.